I actually still remember the first RPG which I bought. 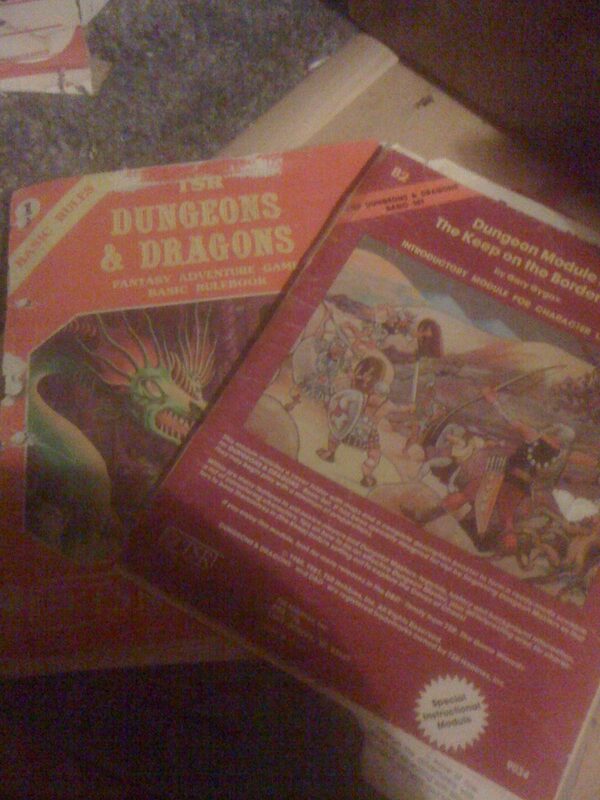 While at grammar school, probably at about age 13/14, two older friends took me into town to buy the basic rule edition of Dungeons and Dragons. I had been saving up my money from my paper round and had a grand total of £10.00 and, with the Basic Rule Box set costing £8.50 I remember getting reprimanded by my mum afterwards saying that I was silly spending all my money before Christmas because she wasn’t going to give me any money to buy presents for my friends at school. I had always been the sort of lad growing up who had never found his niche, not being sporty or educationally bright, and suddenly, I had found something which I was literally mesmerised by. 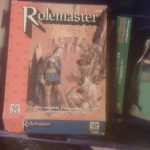 I read the rule book from front to back several times and made up so many characters and, before long, I was creating adventures and dungeons and inviting people round to play on the dining room table. My brother splashed out and bought the Players Handbook for the Advanced rules and I was literally captivated. With an old suitcase full of rules books, floor plans and figures, I was completely immersed into the world. But what do I really remember that I enjoyed? Parties and People – I’ve never been a party goer so when I say parties I am not talking about parties of the alcohol or balloon type. I have never had a huge group of friends and when I played AD&D few actually understood the game let alone played it with me. This meant that I had to create not only ‘stable’ of characters to play but a full group/party. When I went adventuring, I had a group of characters which I played as a party. It was just me and the DM or me as the DM and the player. I think my party was actually called the Magnificent Eight – but it was a long time ago. I remember it was led by a dwarven fighter called Thorin Oakenshield – and there was probably a magic-user in there called Merlin as well! I also remember a paladin – although I am not sure what his name was – I think it was my brother’s paladin which was called Palo! I also had a phase of really liking multi-classed characters – a cleric/fighter/magic-user and a fighter/magic-user/thief. I’m sure the latter was somewhat of an expert with a two handed sword! I do remember starting a RPG group off, and the campaign lasted for some time, with the players growing up with their characters. 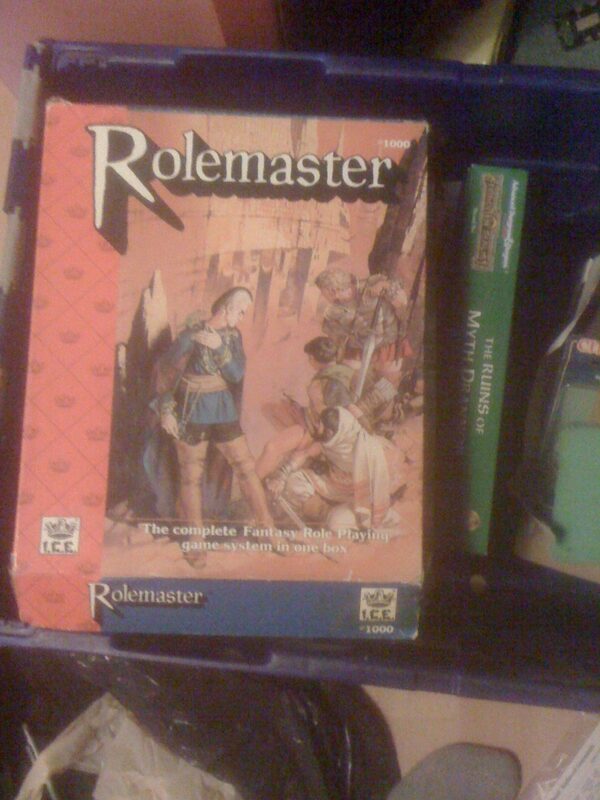 When I headed off to university I was excited to actually find some people who played RPGs including a new dungeon master which meant I could actually start to play! – I always liked playing the magic-user and remember that my character in that first uni campaign had an orb with continual darkness cast on it which I used to keep hidden under a velvet cloth! Those were also the days of arrows being fired into combat with Silence 15′ radius on them! Apart from my brother, I haven’t kept in touch with any of the people from those role playing days – which is somewhat a shame – I guess everyone grew up and moved away. That’s one of the good things about role playing games, the campaign always remains for the next group of players to venture forth into it. 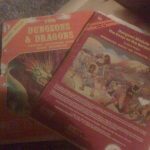 Figures, Games and Fanzines – As well as spending many weekends making up adventures, characters or just reading rule books, Dungeons and Dragons provided a wealth of other activities which allowed me to keep myself occupied. I was always one of those people who were constantly bored growing up and it was only after finding D&D that I found myself with so much to actually do. I actually created my own figure painting business – charging 20-50p per figure. I often used to take over the dining room table and sit drinking Earl Grey tea, painting figures under a bright table lamp. I also started my own magazine based on D&D. It was called Animate Dead – yes I do still have a copy somewhere. It was actually produced on a typewriter using several layers of carbon paper to duplicate the pages for the number of copies which were ordered. I think it cost 20p each copy and included new magical items, character focuses, a story which I wrote every week and even adverts from people! It was never a money maker but I did use the profits for more paper and paints. And finally there were the other games that blossomed from the initial D&D box set. Middle Earth matured into Role Master, Super powers were used in Golden Heroes and we all got completely spooked while playing Call of Cthulhu! It certainly gave me plenty to do and, I must admit, I enjoyed every moment of it! What do you remember from your role playing games? Are you a seasoned player like myself or someone new and just starting to experience everything? If you would like to share your thoughts, comments or even ideas then please do by adding them in the comment box below. It is really easy to register for the site and you can instantly start to progress with your Waffling badges! So it only remains for me to say, have fun guys and I’ll catch you all later and, until then, consider yourself waffled!